Frisco's Disney Dream Vacations: Which Disney Destination is Right for You? Disney is supposed to be the happiest place on Earth, right? But without good planning, it can quickly turn into the most stressful place on Earth. If you’re not a seasoned pro – and most of us aren’t – the logistics can seem overwhelming. But don’t be discouraged! Disney travel can be easy, fun, and stress-free. It’s all about what you know – and, more importantly, who you know. We sat down with two of Lifestyle Frisco’s favorite Disney travel planners, Annemarie Bohn and Lisa Turner, to talk all things magical. If you aren’t familiar with Disney planners, you should be. These incredible professionals take the lead on coordinating all the details of your trip…for free. 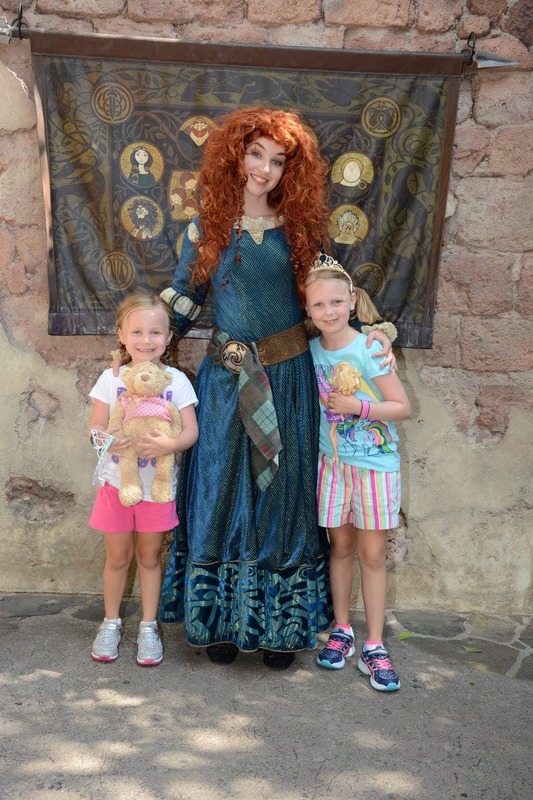 Annemarie and Lisa love Disney – and they love giving families the experience of a lifetime. In Part 1 of our Disney Dream Vacations travel series, our local experts share the big picture so that you can decide which Disney vacation is right for you and begin planning the trip of your dreams! Lifestyle Frisco: Let’s take it from the top. When someone says “Disney” we typically think of Disney World in Orlando. Tell us about the different Disney travel concepts. What can travelers expect and why might we choose one over the other? Annemarie Bohn: Disney Travel Company offers a lot of options for families and adults as well! We all know about The Walt Disney World Resort in Florida and the original Happiest Place on Earth, Disneyland, (along with the other Disneylands in Europe and Aisa). There’s a Disney Cruise Line, Disney’s Aulani Resort and Spa on Oahu, and Adventures by Disney, which offers tours all over the world (including river cruise options). Lisa Turner: Each Disney destination is wonderful and unique. All have the following in common – great customer service and entertainment for everyone (all ages and guests with special needs, including mobility, dietary, and all special challenges). LsF: What is the difference between the original Disneyland in California versus Walt Disney World in Florida? LT: The original is easier to see in a shorter vacation. I recommend a 2-3 night minimum to enjoy both parks and Downtown Disney. Disneyland prides itself on being “more fun per square mile” [than the larger Disney World] and, in my opinion, it truly is. There are as many different experiences in the two parks of Disneyland as there are in the four parks at Walt Disney World. So, Disneyland might be a strong consideration for families with young children or older adults, because it’s less spread out. For those that love nostalgia, Disneyland is the place to go. The Walk in Walt’s Footsteps Tour that allows each guest to experience the park from Walt’s eyes. I also love the photographs of old Hollywood that can be seen throughout the park and the tributes to the history of Disney. (For example, the restaurant Carthay Circle is a replica of the theater where Snow White premiered). Planning is also a little more laid back at Disneyland. Dining reservations can be made only 60 days in advance rather than 180 days in advance for Walt Disney World. So I find for people that are more last minute, Disneyland can be planned more quickly and often the availability for dining with characters, etc, is easier to schedule last minute. AB: Disney World and Disneyland share many of the same rides. However, the rides are quite different at each destination. For example, the Pirates of the Caribbean ride at Disney World is about ten minutes in length and has one slight drop. The Disneyland version is close to 20 minutes with two very steep drops. I was not prepared for that at all when I rode it the first time! The rides at Disneyland seem much more intense. If you’re more of a true thrill ride lover and want to see where it all began, Disneyland is the resort to visit. If you’re a foodie and are into the magic, I would say Walt Disney World is your place! AB: Disney Cruise Line (DCL) is a great way to experience the magic, wonder, and customer service of Disney while seeing the world. Their private island Castaway Cay is an amazing stop in the Bahamas. They also cruise to Alaska and Europe. DCL is the only cruise line to have fireworks at sea! DCL also has the best complimentary kids club for kids 3-12 and fun tween hangouts for those who are over 12 but not quite an adult yet. They’ll even come to pick up your kiddo from dinner so you can enjoy dessert or coffee alone. LT: Possibly my favorite of all the Disney vacations! A combination of great family time with activities, pools, room-service, characters, and Broadway-style shows. Disney Cruise offers many great ways to have fun together as a family. But for moms and dads in need of some “recharging”, the adult spaces (adult only pool, decks, spa, specialty dining, mixology classes, shows, bars, and clubs) are amazing! Believe it or not, a Disney cruise is even a fun, adult-only experience! LsF: What about Aulani Resort and Spa in Hawaii, and Adventure Trips by Disney? LT: Many people forget about Aulani (or don’t even know it exists). Disney has created the most magical Hawaiian island experience on the island of Oahu. Aulani is true to the Hawaiian experience with a touch of Disney flair. Resort style hotel rooms or multi-room villas make it a great choice for any size family. Again, something for everyone including a complimentary kid’s club, no resort fee, teen spa, an adult only pools and spa too. 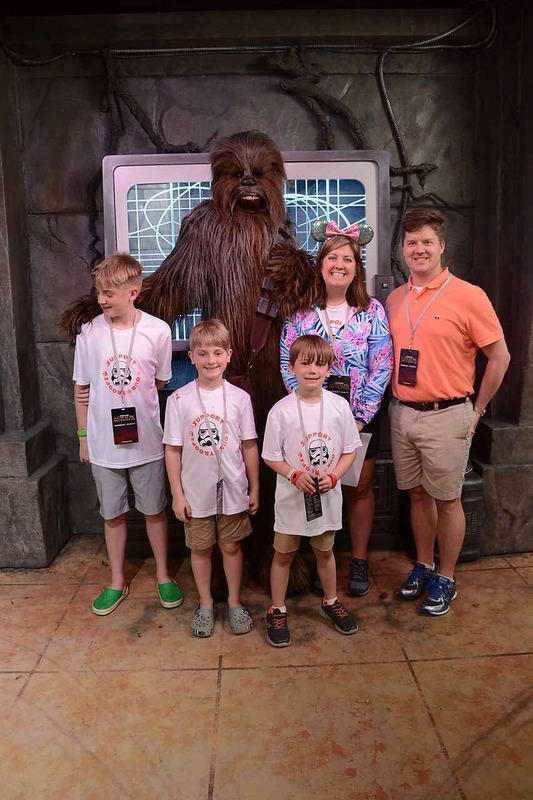 Meanwhile, Adventures by Disney was created especially for families, with breathtaking guided group vacations spanning six continents, from Alaska to Australia, and from Costa Rica to Canada. You’ll meet enthralling local experts, enjoy backstage access, VIP treatment, and other exclusive experiences difficult to arrange on your own. AB: We took our family to Aulani Resort and Spa for Christmas and New Years 2016 and loved it. It has the neatest saltwater reef tank for snorkeling on site. It truly is a wonderful family resort with everything you need and want and in the heart of the magnificent Oahu. The complimentary kids club at the resort, like the kids club on the DCL, is top notch. I had to drag my kids OUT of it! Aulani isn’t all-inclusive, but it is one of the most inclusive resorts you will find in Polynesia. LsF: How far in advance do I need to plan my Disney vacation? LT: I generally suggest 8 months in advance when possible for Walt Disney World since reservations for dining and other forms of entertainment can be made 180 days prior to arrival. In general, cruises are released almost 2 years in advance. Pricing and availability for Disney Cruise are usually best when the cruise itineraries are first announced. Aulani is beautiful year-round and, again, it benefits guests to plan in advance for best availability. Adventures by Disney and AmaWaterways cruises should also be considered a year or more in advance when possible. LsF: What is the best time of year to visit Disney? AB: Everyday! Hahaha! I used to only travel for Christmas…some people only go during Halloween…but spring is great too. I mean someone asks me that, I respond with what do you mean best? Best time to experience more food from around the world? Best time to see Santa? Best time to visit all the water parks? LT: For avoiding crowds, avoid holidays and summer. For the price, September or sprinkled weeks after the first of the year. For temperature, Spring and Fall. Spring, Fall, and Christmas to enjoy special festivals and holidays. LsF: Let’s talk expenses. Can Disney work for travelers with a range of budgets? AB: Travelers on a tighter budget have lots of options to enjoy when it comes to Disney travel. It doesn’t matter what your budget is, we can find a magical getaway that will be the best trip yet! Aulani even offers great off season discounts that surprise travelers. Including airfare (offseason like September, October, January, February) you can snag 4/5 nights at Aulani for a party of 4 for less than what I paid to rent a condo on the beach in Florida a couple of summers ago! Disney Cruise Line has some great prices in the offseason. Even in the peak season, they have so many cruise length options we can almost always find something that works with the budget. Same with Disney parks! Now for the higher budget offerings, Adventures by Disney offers concierge travel all over the world with transportation, food, hotels, and dedicated tour guides. At the parks for higher budget visitors, you can reserve rooms with views of the fireworks and on club level with access to a suite with food, refreshments, and unlimited spirits. There are lots of add ons at the park too, like preferred seating at fireworks shows that include dessert buffets. LT: Disney has something for everyone – for the value traveler (campsites, value resorts and ticket packages, 3 night cruise-sailings), for the deluxe traveler (villas, suites, and even 5-star accommodations) and something for everyone in between. LsF: While we’re chatting budget, it’s fun to daydream about splurges! What are the coolest Disney splurge experiences? AB: Everything!! (laughs) We’re doing two dessert/firework shows on our next family trip [to Disney World] and two Early Morning Magic (where you pay to be admitted 1.5 to 2 hours before everyone else to ride key rides unlimited and then have breakfast). There are also special events like Mickey’s Not So Scary Halloween Party and the Mickey’s Very Merry Christmas Party that are fun too! Another fun splurge, if you can snag a reservation, is the Boardwalk Beaches and Cream Soda Shop…their kitchen sink dessert comes with ice cream and toppings for 4 people! LT: VIP tours offer unparalleled access to all attractions and rides with a personal Disney guide. It allows you to experience the best of all the parks without waits. One guide can accommodate up to ten guests at a time. Another splurge is Signature dining which offers amazing food and dining experiences. Some of my favorites are Cinderella’s Royal Table, Le Cellier in Canada, and the California Grill. Behind the scenes tours or specialty tours – a private fireworks cruise on the 7 Seas lagoon is a personal favorite. Another splurge? Staying at the relatively new Four Seasons resort on the Disney property – with park view rooms, a Disney cast member manned concierge desk, amazing spa, and dedicated transportation to all parks. And don’t forget the Concierge Cabin on Disney Cruise. It starts with champagne served in a private lounge, almost the only way to get a cabana on Castaway Cay, the pre-planning help of the concierge team to arrange your dining rotation and anything special you’d like in your room. LsF: What would surprise travelers who aren’t “Disney people” about taking a Disney vacation? LT: That there’s more to a Disney Vacation than the parks. Golf, spa, shopping, dining, shows, fun adult experiences – piano bars, clubs, Hawaii…if you can dream it, you can do it at Disney. Your vacation can be much more than the parks and it can be very relaxing too. It doesn’t have to be go, go, go, all day in a theme park. AB: My clients who say they aren’t “Disney people” tend to be the first to rebook with me! (laughs). Disney has something for everyone. What I do is find out what interests you and guide you from there. It may be that a cruise or trip to Aulani or an Adventures by Disney trip is what you need! We can work together and find something amazing. LsF: It seems like a lot of people go to Disney every year. Those of us who haven’t been yet wonder, why do people keep going back? Doesn’t it ever get boring? AB: It really doesn’t get boring because there is truly so much to do, and there are so many things being added all the time. Each time I visit, I purposely plan new restaurants and experiences to change it up. I’ve taken my kids every 12-18 months since 2008. We’ve repeated some activities, but always experienced something new! Since 2017 when I started with my agency, I’ve been to a Disney park 5 times. I still have several restaurants I haven’t been to yet, which is a lot considering I always try new places each visit. So, no it doesn’t get boring, just like a beautiful ocean doesn’t get dull! LsF: What are your TOP 3 pieces of advice for anyone going to Disney? Don’t try to do it all. I go multiple times a year and haven’t done everything there. People try to do too much and don’t enjoy it as much as they could. There’s no way to do everything even on multiple trips. Do what you can, enjoy it, and go back another time. Have a plan, but also have a backup plan because the monorail might have an issue, or a bus might be delayed, or half of Florida may show up in line with you. Have a plan, but have a backup also. Treat yourself! Don’t diet the whole time you’re there. Eat the dessert! Enjoy all the foods. You will be walking sooooooo much, it won’t really matter that much. I try to eat healthily, but I still go get my Peter Pan Float. Work with a Disney planner that’s part of an authorized earmarked planning agency, even if you go to Disney regularly. Our services are free, so why not have another “expert” to bounce ideas off of? You may be surprised the value they add for even most knowledgeable Disney guest. For those that have never been – they’ll save you time and money and will help you make the most of your experience. Interview your planner. I know from experience that there are many planners that do not actively plan Disney vacations. It’s important to know that your planner has many years of personal Disney experience, combined with many years of planning vacations for others. Be flexible. Occasionally I have guests that want to over plan and schedule every minute of every second. This is why I don’t provide step by step touring guides for my guests. Instead, I choose to teach my guests how to tour. I want my guests to have a plan, but also to leave time to experience the unexpected…you never know what will capture your family’s imagination. 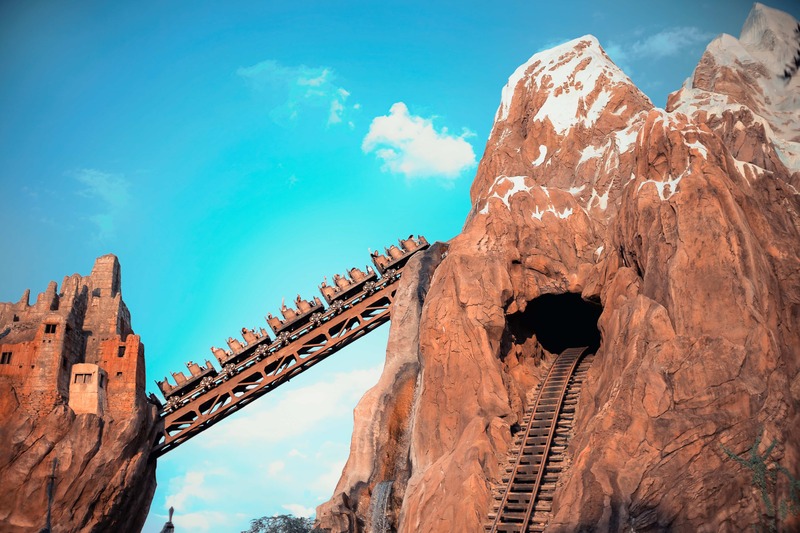 LsF: Why should travelers use the services of a free Disney vacation planner? AB: When promotions rollout, the first clients I help are my already-booked clients to roll their bookings over to the promotions and save them money. I’m up before 5 am on promotion roll out days pulling out my reservation numbers and modifying them as soon as they go live. I also give my clients the option to use me to book their dining reservations and fast pass selections and to do optimized travel planning for when they’re in the parks. I’m now providing a map with a list and time to arrive at a ride and estimated wait for the ride for those who want the most planning possible. (Not everyone likes that much planning so I provide as little or as much help as you want). But the biggest reason? It’s free! LT: I can help guests save money because I know Disney. I keep track of historical pricing and promotions which helps me advise guests on the best times to travel. I also pay attention to when new discounts come out for the timeframe my guests have booked and automatically apply the best offer that your vacation package qualifies for. I offer many other money saving suggestions and tips along the way as well. 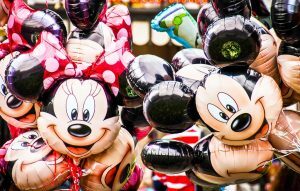 Disney can be overwhelming so I handle everything for my clients – helping with date selection, advising on resort and ticket packages, making dining reservations, guiding FastPass decisions, arranging transportation and teaching my guests how to tour to avoid crowds and get the most out of their vacation. My knowledge is built by years of personal Disney travel, along with in-depth mandatory training by Disney. I use the knowledge and experience I’ve gained working with hundreds, if not thousands, of families and groups of all sizes, ages, and with all types of special needs. Every trip is different. I work hand in hand with my clients to craft the trip that is perfect for their situation and budget. LsF: On a personal note, what is do you love most about Disney? LT: I personally love Walt’s vision – a magical place where families can play and enjoy being together. I love helping my guests make memories with their families that will last a lifetime. The same memories I’ve made with my family over the years. Each time I walk through the parks, I can envision my kids at different times of their life – it’s truly special. AB: There’s so much to love at Disney. Where do I start? My love for Disney really multiplied in 2008 when my husband and I took our oldest son to Walt Disney Resort for the first time. He was only 2. I remember how REAL it was to him. It melted this momma’s heart. All three of my cutie boys have been as babies and toddlers and little kids, etc. So each time we have gone it has just been a milestone for growth and life. As my kids have gotten older, my love for Disney has changed a little. I love what a story the man Walt Disney is. I mean, this is a guy who was told he lacked creativity. This is a man who suffered from a learning disability (dyslexia), and he built arguably the greatest family-centered park of all time. My oldest son also has dyslexia. When we are there, I love reminding my son with something tangible, that he can see and experience that disabilities don’t mean limits. If you can dream it, you can do it. Our local experts are passionate about helping their clients have the BEST Disney experience. Stay tuned for Part 2 of our Disney Dream Vacations series, coming soon. Our experts will share the practical, step-by-step details on how to plan and execute the BIG one…Walt Disney World in Orlando, Florida!